ASK an Australian farmer their biggest fuel-related issue and it will always be the price of fuel. Dig a little deeper and it won’t be too long before fuel theft comes up in conversation. Farmers accept wholesale fuel prices are beyond their control. Bring up the matter of fuel theft and you start to understand that this is far more personal. Cases of theft within the farming and agriculture sector continues to make the news, and research released by the University of New England this year shows more than one in five farmers have first-hand experience of the problem. Rural police say crop farms are a particularly attractive target for fuel thieves at harvest and seeding times. The thefts can not only cost thousands, but mean losing valuable time if the problem is discovered too late. Machinery like harvesters parked in remote locations is particularly at risk, with thieves draining tanks and costing farmers thousands. It’s an issue that affects rural residents across state and industry boundaries. At Buloke in north-west Victoria, thieves stole $2000 of fuel from council machinery in the 12 months to May this year while crews were working in remote locations across the 8000 square kilometre shire. In June police in Dalby, Queensland urged property owners to consider tightening security with measures including cameras after a prime mover, the attached 25,000-litre tank and $4000 of fuel were stolen from a property while the owners weren’t home. In October, South Australian Police reported an increase in farm fuel theft and urged farm owners to lock or secure tanks and equipment and check fuel levels regularly. For many rural landholders, much of the problem stems from the sheer area involved – it’s hard to stop unlawful entry on large properties. Add to that social change, with more absentee farmers and a more transient population in rural areas meaning communities are less connected, and the UNE’s Dr Elaine Barclay says many just give up on finding a solution. “Fuel theft is a huge problem since the price of fuel went up,” she says. Dr Barclay says her most recent survey of 3160 farmers in NSW and Queensland shows fuel theft tends to happen at times like harvesting or seeding, when larger on-farm fuel stores are needed – and when thefts can cost the most in lost time and productivity. “How do you lock up a farm? Dr Barclay’s research shows about 74 per cent of farmers had experienced some type of rural crime over the past 12 years, with only about half of those crimes being reported. She says rural watch programs, bringing communities together to fight crime, are less effective as communities fragment. “There’s been massive social change – you have more hobby farmers moving in, particularly in places like Armidale, where I’m based. 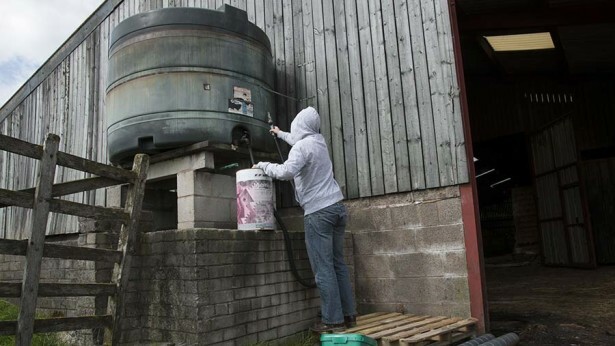 Farmers have also fought fuel theft by filling storage tanks with water to catch out unwitting thieves, and by being vigilant about measures like returning machinery to the main sheds at night – often a major logistical problem in itself for larger properties. Fortunately, Australians are an innovative lot, and farmers have worked to tackle the problem with everything from home engineered locking systems to state-of-the-art fuel monitoring technology. In Buloke, a local engineering firm came up with fuel cap locks for council equipment that are also showing promise as a potential solution for local farmers. Not Australian, but still an innovative product in relation to trying to prevent fuel theft with a simply fuel cap. The Tanklock anti-theft fuel locking device is perfect for tractors, harvesting equipment, excavators, backhoes and other heavy machinery that may be left overnight on isolated sites. The Tanklock defies convention because the cap itself has the ability to free-spin when locked. The free-spinning motion of the cap effectively offers no resistance points and thus no torque points for which to apply spanners, crow bars, jemmy bars or grips. Victorian company It’s Secure offers a shaft alarm with GPS which is ideal for mounting on remote gates and fences where machinery and fuel are being stored, providing there is 3G or 4G coverage. The alarms are mounted using magnetic clips that can be easily moved each day, and are powered by a lithium battery which can last up to three years. They’re armed by text message and controlled remotely. Cameras are also increasingly popular. Entrepreneur Damien Byrne owns Outdoor Cameras Australia and hears stories of theft due to farm security failures every day. “Most of it is fuel and machinery, and when it happens it is very costly,” he says. “Even the fuel thefts aren’t just small amounts, they’re usually thousands of dollars’ worth. Damien says cameras have been proven to make a difference, and police agree. Queensland police continue to urge farmers storing fuel to not only keep a close watch on levels but to install cameras to monitor and help prosecute thieves. They cite a successful prosecution in August this year after a 25-year-old man was caught on camera stealing more than 1000 litres of diesel from a farm near Toowoomba. Damien says the example is one of many, with diesel fuel and machinery theft among major reasons given by rural clients for their camera purchase. The equipment is portable, weatherproof and simple to set up and attach to an existing structure, and can run on batteries for months at a time or even miniature solar panels in more remote areas where changing batteries could be an issue. “Our units are small and very easy to handle and there’s no wiring required and no poles need to be erected,” he says. Popular models include the UWay, which can take high quality 5MP images and high definition video and can carry a maximum 32GB of storage. The camera can take about 5000 images on one SD card and operate continuously with a solar panel attachment. Prices start at around $500. Well worth the price as this would easily offset the loss in value of most thefts on a farm. Not only that, but think of that fist pump moment when your camera catches the intruders red handed. The type of fuel storage tank on your farm will very much determine what level of security you should expect. The variety of farm storage tanks apart from shapes and sizes, extend to above-ground tanks, on-ground tanks and underground tanks. Craig Cygler, from Nqpetro, says using underground tanks for storage vastly improved security for farms that store large amounts of fuel. He says modern storage tank designs are also making theft harder with features like lockable hatches that prevented access to the valves. Refer to this extensive guide on farm fuel tanks to understand the pros and cons of each type. He also recommended anti-theft cap locks (as mentioned above) for farm equipment, particularly where it will be parked in remote locations. Where to put your farm fuel tanks? Police recommend a number of simple measures to prevent theft. The first is taking simple precautions when deciding the location of tanks. The most secure location for a tank is underground, however this might not be practical for many properties. When positioning above-ground tanks convenience is important, but not if it makes it too easy for thieves. Tanks should be located away from main roads and where possible where they can be seen from the house. Keep the area around the tanks clear of equipment and other obstructions to ensure clear visibility and minimise hiding places. On large properties, where tanks are needed to service isolated areas, it’s important to locate them out of sight of a public road and keep them locked. Consider only filling remote tanks when they are in regular use, such as at sowing or harvest time. Mobile tanks should also be locked and stored out of sight when not in use. It’s a good idea to fence the area around fuel tanks. One recommendation is to locate them near machinery storage sheds and fencing the entire area with good quality lockable security fencing. Lock your fuel tank cut-off valve rather than the nozzle and hose. If there is an electric pump on the tank locate the switch in a locked building and turn the power off when the tank is not in use.Close and lock all valve on all on-ground and overhead tanks when not in use. Dip tanks regularly and monitor fuel usage so you know quickly if there is an unexplained loss. Install a flow meter to supervise fuel use. Keep a book at the tank for each user to record fuel usage, or investigate an automated fuel management system. Lock gates that aren’t being used. Research suggests more than 90 per cent of farm gates are unlocked or unlockable, offering an invitation to opportunistic thieves. Talk to your neighbours. Let them know if you plan to be away for a while, and tell the local police so they can also keep an eye on your property. If the problem persists despite your best efforts to boost security, Police are urging communities to work together with them to take action. New England region Local Area Commander Fred Trench says reporting the crime helps everyone. “Farmers need to report crimes or theft so we can look at how we can better address these problems from a local perspective,” he said. You should also tell your fuel agent and make sure you have accurate information about when and where your farm fuel tanks are refilled. If you have been personally affect by theft on a farm, please let us know in the comments box below as it would be good to understand your thoughts. If you should have any concerns or questions on how to boost your fuel security around the farm, get in touch. We will make a difference. Are you a victim of rural crime and fuel theft? Please let us know in the comments box as it would be good to understand your thoughts. Very well written article! Well Done. Thanks Rob. It was a concern for us that farmers are being ripped off in the first instance. If we can help prevent it we’re all for that. They have just stolen a tank of diesel out of one of our tractors last night and broke 2 cameras in the process to avoid detection. Well you know what we think about that. Bastards.